When the Spirit lives in us, we don't need a law to guide us. The Spirit produces the character that God desires and that is well beyond what any law would require (cf. Gal. 5:22-23). 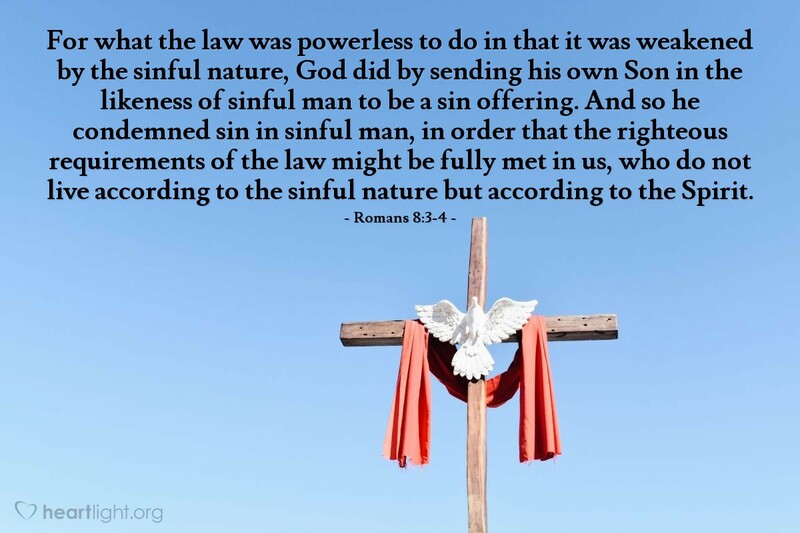 While the Law can teach us God's will and reveal to us what is sinful, the Law can't fix our sinfulness nor empower us to live according to God's will. The Holy Spirit, on the other hand, can cleanse, transform, empower, and inspire us to be what God calls us to be in ways no law can. Let's thank God for his amazing and wonderful presence in us through his Spirit! Create in me a pure heart, O God, and renew me by your Spirit dwelling within me. In Jesus' name I pray. Amen.